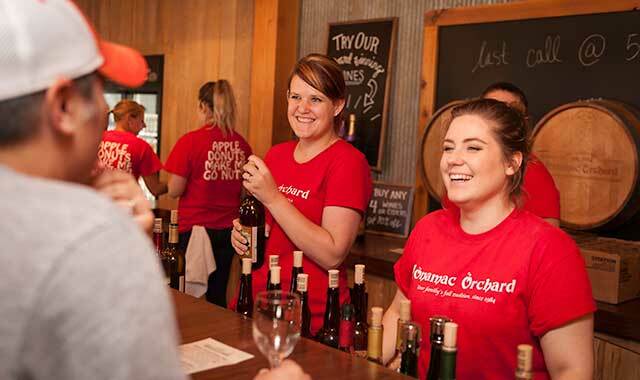 Jonamac Orchard, in Malta, serves up many fall favorites, including wines produced locally by Prairie State Winery. There’s something purely magical about the fall season. It heightens the senses with images of trees ablaze with rich colors, crunching sounds of leaves underfoot and intoxicating scents of crisp apples, pumpkin pies and more. Now’s the time to make new memories and traditions by exploring all of the amenities autumn brings to DeKalb County. “Fall is a very special time to get out into the country and enjoy what we offer,” says Debbie Armstrong, executive director of the DeKalb County Convention and Visitors Bureau. She knows this region west of Chicago is ripe with family-owned apple orchards and farms, wineries, theaters and museums, and she has plenty of ideas for making the most of a day trip to the DeKalb area. There’s something special about picking your own apples, pumpkins and raspberries right on the farm, and every fall Jonamac Orchard, in Malta, and Honey Hill Orchard, in Waterman, overflow with a wide variety of apples to suit every taste. Jonamac offers 35 varieties on its 105-acre farm. Honey Hill serves up 17 apple varieties grown among 2,100 apples trees and an additional 500 trees at a second farm. Honey Hill welcomes raspberry picking through September. Step inside these orchards’ country stores for plenty of other goodies. At Jonamac, try hand-dipped caramel apples, baked goods, apple cider slushies, fall gifts and exclusive apple butter. Visit the new Cider House to watch cider being pressed and try a variety of hard ciders, aple ale, and apple wines, the latter made by Prairie State Winery from fruit grown on the farm. Check out Jonamac’s 10-acre corn maze, which becomes a Haunted Maze Friday and Saturday nights in October. The Apple Barn Country Store at Honey Hill is a late-1800s farm barn converted into a unique market. It’s filled with fresh produce and salsas as well as easy-to-use baking, dip and soup mixes – among other treats. With 20 beehives on-site, Honey Hill produces its own pure raw honey, too. A stone’s throw away from Honey Hill is Waterman Winery, a 10-acre sustainably-minded vineyard. Visit on Saturday or Sunday for tastings of these unique red and white wines, all grown on site. Tours are available, by appointment, for a ride through the vines to see how it all begins. For another take on local wines, Prairie Sate Winery, in downtown Genoa, serves up food and wine pairings prepared by an in-house chef. The beautiful atmosphere inside and cozy patio outdoors provide an idyllic backdrop for wine tastings and live music on the weekends. Soon, you’ll also be able to sample some of Prairie State’s wines at a new satellite location arriving in downtown Sycamore. DeKalb County has many hidden treasures, as well. Tour the Ellwood House, in the city of DeKalb, and explore the magnificent estate’s gardens and structures. Later this season, look for the holiday decorated mansion tours and open house. DeKalb County also is home to big-city arts and culture with award-winning live entertainment, music and museums. Enjoy performances and a fall film series at the Egyptian Theatre; a play at the Stagecoach Players Theatre; and many cultural institutions at Northern Illinois University, including the NIU School of Theatre and Dance, NIU School of Music, NIU Art Museum and NIU Pick Museum of Anthropology. Grab your comfy sweaters and be prepared to find something new this fall in DeKalb County. For more information, visit dekalbcountycvb.com. Located just steps away from the University of Wisconsin-Madison campus, The Edgewater is a focal point for game-day excitement. Wisconsin’s autumn colors may be multi-hued, but in Madison, the dominant color is University of Wisconsin red. 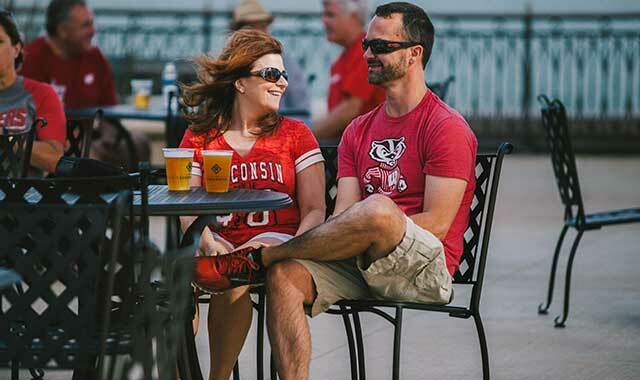 The Edgewater, located in the heart of downtown Madison, enthusiastically joins the crimson wave, with staff donning their football jerseys and offering Badger-centric events throughout September, October and November. Located on the shores of Lake Mendota, The Edgewater is Madison’s place for game-day fun, both before and after a match at Camp Randall Stadium. Throughout the season, the urban resort hosts a fan’s ultimate tailgate party. The festivities continue for Badger home games all season long, including the Oct. 21 Homecoming game against Maryland. Other notable matchups are Oct. 14 against Purdue, Nov. 11 against Iowa and the big Nov. 18 showdown with rival Michigan. Locals and visitors alike can kick off game-day celebrations at The Edgewater with tailgate fare and cold brews. For 11 a.m. and 2:30 p.m. games, revelers can feast on a pre-game brunch at The Edgewater’s The Statehouse restaurant. The Edgewater will serve as a headquarters for live, on-site, pre-game broadcasts from ESPN Wisconsin Game Day – a new feature this year – and post-game festivities on The Grand Plaza. For evening games, The Edgewater offers a pre-game celebration including brunch and tailgate with music, food and drink on The Grand Plaza, located between the Langdon Building and the Wisconsin Building. All of The Edgewater’s game-day events are free and open to the public, with food and beverage available for purchase. Another nice perk at The Edgewater is the easy parking/shuttle access that’s available for purchase, either for individual games or the entire season. The deal includes parking for the day, a shuttle to and from Camp Randall, and a complimentary beer or bloody mary for the shuttle ride. The round-trip shuttle begins running two hours before kickoff and conveniently departs every 20 minutes, with return shuttles continuing for two hours after the game concludes. UW-Madison fans and alumni also have their pick from special overnight offers, including the Wisconsin Alumni Package, which offers 15 percent off the best available rate and a special amenity upon arrival. Looking beyond football season, the resort applies its artful touch to the holidays with a sampling of activities for all ages. Friday, Nov. 24, kicks off the holiday season with the Fourth Annual Tree Lighting event. Picture New York City’s Rockefeller Center right in the heart of the Midwest. If the weather cooperates, the Grand Plaza is turned into an ice skating rink for the winter season and family entertainment is provided. Visitors can expect special guests like Bucky Badger as well as performers like children’s entertainer David Landau, Madison Area Community Chorus, Ringing Badgers Handbell Ensemble, Central Midwest Ballet, and Santa and Mrs. Claus. Festive Thanksgiving and Christmas brunches make celebrating a breeze with a succulent and stylish meal in the stunning Grand Ballroom, where 16-foot windows frame sweeping views of Lake Mendota. Throughout the holiday season, the resort offers themed breakfasts with Santa and Bucky Badger. Whether you’re looking for football fun or new holiday traditions, The Edgewater is a cherished place to stay and play. For more information visit theedgewater.com. Youngsters enjoy many Halloween-themed events in the Rockford area, including the Scarecrow Harvest Festival at Midway Village Museum. A wide range of hands-on and interactive experiences awaits visitors to the Rockford area this season. Just as the foliage begins to change, Fall ArtScene takes place Oct. 6 and 7 at various Rockford-area galleries and studios. ArtScene brings out thousands of art lovers to pop-up displays located all over town, as local artists share exhibits of their original works. A palette of fall color awaits visitors who take part in Autumn at the Arboretum, on Oct. 8, at Klehm Arboretum and Botanic Garden. Activities include hands-on crafts such as scarecrow building, pumpkin decorating and face painting. The Scarecrow Harvest Festival, at Midway Village Museum, on Oct. 7, provides hands-on activities for all ages, with scarecrow making, horse-drawn wagon rides, apple and pumpkin games, crafts and scavenger hunts. Another rich experience on the first weekend of October, the Cider n’ Cinnamon Arts & Crafts Fair, Oct. 7 and 8 at the Edgebrook Shops, on Alpine Road, features more than 70 vendors displaying a variety of art, jewelry, crafts, clothing and vintage decor. Peruse the shops, dine on delicious food and listen to live music. A few miles north, Loves Park hosts the Oktoberfest celebration at Loves Park City Hall. This annual event features live music, German food and beer, wiener dog races, and the “Bier Barrel Race,” in which teams compete to be the fastest to roll an empty beer keg to the finish line. Head of the Rock Regatta, on Oct. 8, is a unique opportunity to join 5,000 spectators along the banks of the Rock River and watch more than 2,000 rowers from across the country compete in a 5,000-meter (3.2 miles) rowing race on the Rock River, beginning at Martin Park and finishing at the YMCA. Participants set their own pace at the Trick or Trot, on Oct. 22 at Midway Village Museum, as they run or walk through the Victorian Village on the 3.1-mile certified course on paved or gravel trails. 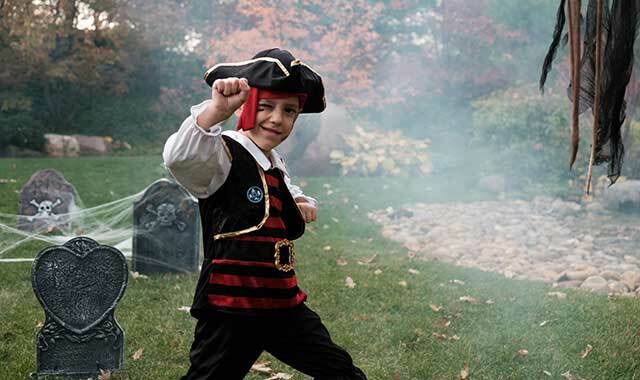 More adventurous souls are encouraged to wear their best Halloween costumes. For parents looking for a one-of-a-kind trick-or-treating experience, Midway Village Museum is also the location of All Hallow’s Eve on Oct. 21. Visitors can bring their family to trick-or-treat in the safety of the Victorian Village where more than 20 buildings will be decorated for Halloween and attended by local volunteers handing out candy. Come November, runners can get their fix during the Veterans 5K Run & Walk on Nov. 4 at Mercyhealth Sportscore One. The run benefiting the Veterans Drop-In Center is on a flat, fast, beautiful course weaving along the Rock River. On Nov. 10, come on down to The Price is Right Live – Stage Show at the Coronado Performing Arts Center downtown, and take part in an interactive stage show that gives eligible individuals the chance to win prizes. To learn more about fantastic fall festivities in Rockford, visit gorockford.com. With guided hikes, trolley tours and other family-friendly events, such as Oktoberfest, Starved Rock Lodge is the perfect destination for a mid-week getaway this season. 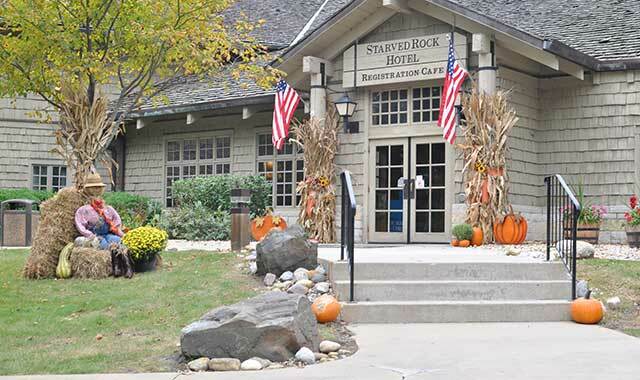 If you haven’t used all of your vacation days, a mid-week getaway to Starved Rock Lodge could be just what you need. An amazing canopy of autumn hues will welcome you as fall colors appear over the next few months. Trails are also less crowded between Sunday and Thursday. Starved Rock Lodge and Starved Rock State Park are located just a little more than an hour from Kane and DuPage counties and are just south of the quaint village of Utica. Known for being one of the top 10 places in the Midwest to experience a magnificent display of fall color and texture, the park and its Lodge provide many activities to complement the fall season. Choose to stay in the 1930s-era section of the Lodge, the hotel wing or a cabin in the woods. For every new reservation made through the end of September, Starved Rock Lodge will donate $10 to Hurricane Harvey relief efforts. On Sept. 25, the Lodge hosts a hurricane benefit concert, with country music star Eric Chessler taking the stage in the Great Hall at 7 p.m. Tickets are $30 and may be purchased in advance or at the door. Proceeds will be donated to hurricane relief. Guided hikes are offered every weekend from the Lodge, and this year’s Fall MegaHike scheduled for Sept. 23-24. Reservations are required for all guided hikes. “Hike for the Cure,” which happens on Oct. 1, is a fundraiser to support breast cancer research. Participants wear pink T-shirts and hike to the top of the Rock as a show of support. A recommended activity is the Lodge’s Fall Colors Trolley Tour, which runs throughout October on Mondays and Saturdays. Cost is $30 per person and includes the trolley ride, lunch in the rustic main dining room and a guided hike to Council Overhang and Ottawa Canyon. This tour is not recommended for anyone with limited mobility, and reservations are necessary. Fall Colors Weekend is Oct. 21-22 this year. Crowds flock to the park to see the peak of fall colors, but the season extends beyond just one weekend. The panoramic view from the Veranda at Starved Rock Lodge is one-of-a-kind, as the peaceful Illinois River Valley paints itself in hues of orange, gold and brown. Whether you choose to have lunch, a refreshing Starved Rock Signature Ale or your favorite drink, the air is crisp and the atmosphere is casual. The Lodge kicks off the Oktoberfest Season with a Keg Tapping of Paulaner Beer on the Veranda and music by the Duseldorfers German Band on Sept. 24 at 2 p.m. Early-day “Matinee” luncheons begin at 11:30 a.m. on Sept. 28 and Oct. 22. Oktoberfest Dinners, which begin at 5 p.m., are planned for Oct. 7-8 (conveniently when the Burgoo Festival Weekend occurs in nearby Utica) and again on Oct. 21-22 during Fall Colors Weekend. Reservations are necessary. Musical tribute shows are the perfect choice for indoor entertainment. A Patsy Cline Tribute Show is slated for Sept. 25 and Oct. 16. Take a walk down memory lane at one of the Frank Sinatra Tributes Oct. 2-3. Lunch is included and reservations are required. Call (815) 220-7386 for tickets and showtimes. 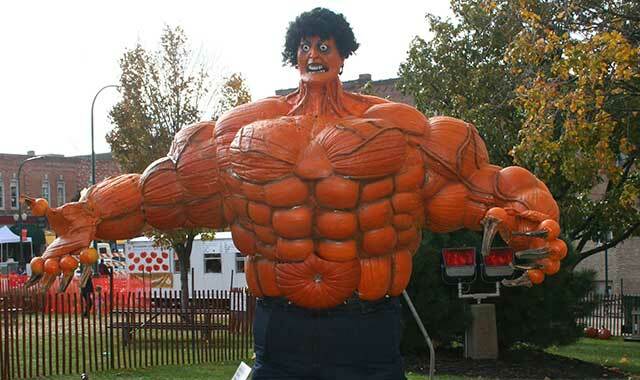 Sycamore residents are wild about the annual Pumpkin Fest, scheduled this year for Oct. 25-29. Located 60 miles west of Chicago, the charming city of Sycamore offers a variety of family activities this fall. Starting in late September, visitors can head over to Johnson’s Pumpkin Stand and Corn Maze, on West State Street, to get into the fall spirit. People with a penchant for pumpkins will be delighted with the more than 50 varieties of pumpkins, gourds and squash to choose from. The brave at heart are invited to embark on a thrilling adventure inside the property’s 7-acre cornfield maze, which, from aerial view, resembles a pirate ship this year. Rumor has it that hidden treasure is secreted away inside. Are you up for the hunt? In early October, pay a visit to the Midwest Museum of Natural History and peruse displays with mounted giant black bears, lions and fossilized mastodon bones, among other critters big and small. A museum field station houses live fish, tarantulas, turtles, lizards and snakes. On Oct. 6, in keeping with the creepy Halloween vibe, field station visitors will be able to watch the resident snakes enjoy their lunches – live – while also learning how a snake’s body is uniquely adapted to eat. The event will be free with admission. The 56th annual Pumpkin Fest takes place Oct. 25 through 29 on the lawn of the DeKalb County Courthouse. Hundreds of carved and painted pumpkins will turn the courthouse lawn into a pumpkin patch as the squash await judging in the annual decorating competition. The fest will also feature two arts-and-crafts shows, carnival rides and vendors selling tasty fall treats. Be sure to snag yourself a caramel apple. On Saturday of Pumpkin Fest, Sycamore History Museum staff members will guide visitors through historic homes, a renovated train depot and an old school. On Sunday, more than 1,800 runners will fill the streets for the annual Pumpkin Run 10K road race and, later that day, the city will host its festival parade. Sycamore fall fun doesn’t end there. On Nov. 17, the city welcomes winter a tad early with the Moonlight Magic shopping marathon. Stores will be open late to offer the best deals of the season. From 6 to 8 p.m., storefront windows will come alive with magical performances from local arts, theater and dance groups. Last but not least, the Sycamore Winter Chocolate Walk takes place Nov. 30 from 4 to 8 p.m. Grab your sweetie or just your sweet tooth, because select shops will offer an array of fine chocolate desserts, chocolate bars, pretzels, chocolate martinis, chocolate meringue cookies and more. Maps and check-off cards will be provided at the walk’s starting point at Blumen Gardens around 4 p.m. Drop off your completed card at the final location to enter a raffle. Tickets are available at the Sycamore Chamber of Commerce and online at eventbrite.com. Aside from all of the festivities, Sycamore offers plenty of additional ways to enjoy this season. Antiques and gift shops abound. Wine tasting is popular at Prairie on State Wine Cellars. For dinner options, the cozy and chic Nat’s On Maple offers everything from sirloin steaks to meatloaf and authentic Mexican cuisine. Ristorante de Acquaviva is known for its Italian fare, and people with a hankering for a burger can grab a bite to eat at Pub 64 and PJ’s Courthouse Tavern. To learn more about Sycamore attractions and events, call (815) 895-3456 or visit discoversycamore.com. This entry was posted on Tuesday, September 12th, 2017 at 11:58 am	and is filed under Recreation & Destinations. You can follow any responses to this entry through the RSS 2.0 feed. Both comments and pings are currently closed.